I cried three times in the process of editing this review. This sweepingly beautiful but simple ode to Tsinghua University is a tear-jerker for all seasons. Set against one of the most stunning visuals of the year, Forever Young 无问西东 tells its simple tales with an incredibly romantic lens that makes it difficult not to admire. Director Li Fangfang (Heaven Eternal, Love Everlasting) always manages to play my emotions just right to evoke all my emotions for the world she captures. My most anticipated film since forever, Forever Young 无问西东 has finally set a release date for January 14th! I really hope someone picks it for a NA release. Starring Zhang Ziyi, Huang Xiaoming, Chang Chen, Wang Leehom, and Chen Chusheng, director Li Fangfang’s ode to Tsinghua University focuses on the coming-of-age of the school and the nation as depicted through five of its students through the year. The movie’s had three trailers and all of them are extremely gorgeous, but I still have no idea what the plot is. Best Cinematography of the Year? The second film from one of China’s best young directors, Li Fangfang (Heaven Eternal, Earth Everlasting), Forever Young 无问西东 has finally released a trailer after over five years . It’s tentatively set for a late 2017 release. Starring Zhang Ziyi, Huang Xiaoming, Chang Chen, Wang Leehom, and Chen Chusheng, the ode to Tsinghua University focuses on the coming-of-age of the school and the nation as depicted through five of its students. Malaysian singer Namewee adds to the countless songs about the dream chasers lost in the strange allure and fog of the Northern Capital (Beijing). 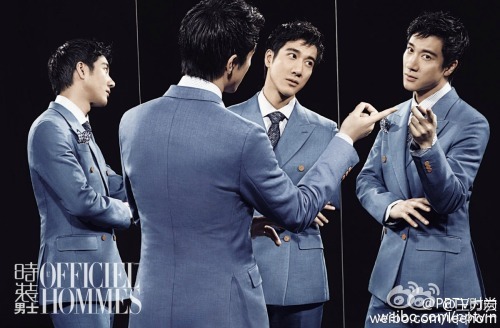 I don’t think Leehom has ever lived in Beijing, but who can complain about him. To say this Weibo Wednesday is a little overdue is a huge understatement, considering there’s a post dating back to Halloween LOL. But oh well, better late than never, right? Happy New Year to everyone, and let’s have a quick recap of the past two months. Who is this cutie you’ve probably never seen? The answer is Tian Xinchen, the son of Tian Liang and the younger brother of Cindy Tian Yucheng. 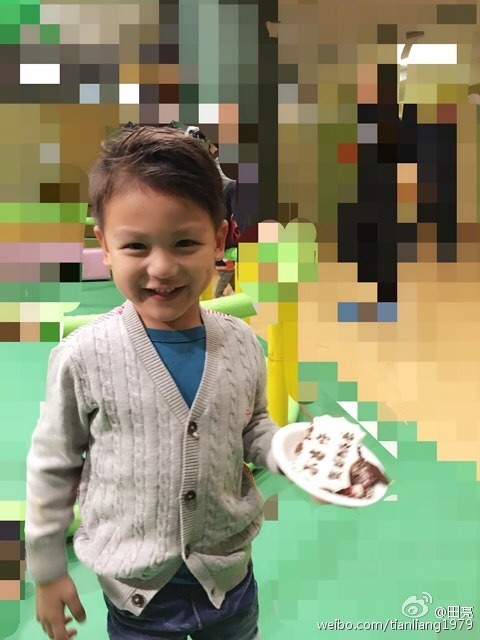 Wikipedia claims he was born on April 13, 2012, which would make him three years old, but that doesn’t explain why Tian Liang posted Xinchen’s birthday cake photo in early November. Anyhoo, this is the first time (I believe) that we’ve gotten a look at Tian Liang’s son, so take a good look! He’s a real cutie. 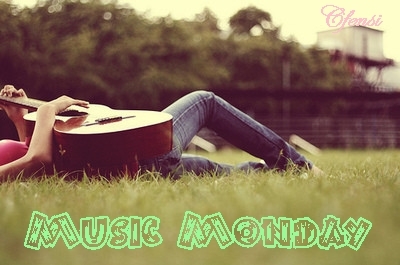 Hello, everybody, let’s get to know one another! I am one in a family of four, and my most beautiful mother and sister prepared a cake for me. My ugliest father tried to steal the limelight from me, so I Photoshopped him out. Does Blake Lively’s dress look familiar? It’s by Lawrence Xu of Fan Bingbing’s Dragon Robe dress. She should’ve worn this to the Met Gala. Co-productions aglore! Other than three co-productions with India, a slew of co-productions with Korea, a couple co-productions with the U.S.. were also recently announced. Wang Leehom, Jing Tian, Shawn Dou have been announced for the bioepic of Pearl S. Buck starring Juliette Binoche . Shawn Dou, who’s actually Canadian, has also been announced a short Sci-fi film Log Out with Blake Lively of Gossip Girl fame. The film is one Adrien Brody‘s new China-focused company. Starting off the week with some old and fresh favorites! She rides on whales and kisses lions, so she’s clearly a Disney princess.